Almost every capital city in the world has something that defines it, and that’s usually where tourists flock to visit. Washington D.C. is home of the White House, Athens plays host to the ancient ruins of the Acropolis and Parthenon, and it’s similar in Rome with the Colosseum and the Roman Forum. But it’s not just all about those main attractions; every city has its hidden gems that you don’t hear so much about, and it’s these secrets which add a little more spice to your trip. Of course, we’re not saying don’t visit the major tourist attractions - if you’re visiting from the other side of the world on a once-in-a-lifetime trip for example, you’d feel like you’ve missed out every time you go back and look at your pictures. But you’ll definitely want to take some time to experience the local culture, try out some of the local cuisine, and maybe even learn a new word in their language! So without further ado, let’s look at some of the most popular capital cities in the world, and their local secrets. London is one of the most visited cities by international tourists, with over 18 million people traveling to the capital of the United Kingdom in 2017. If you’re flying into London Heathrow, you’ll want to take a read of our useful LHR airport guide which will provide you with hints and tips for your travel to and from the airport, and what you can do there while you’re waiting for your flight. The majority of those visitors head to Central London, which is where the majority of the main attractions can be found, new and old. 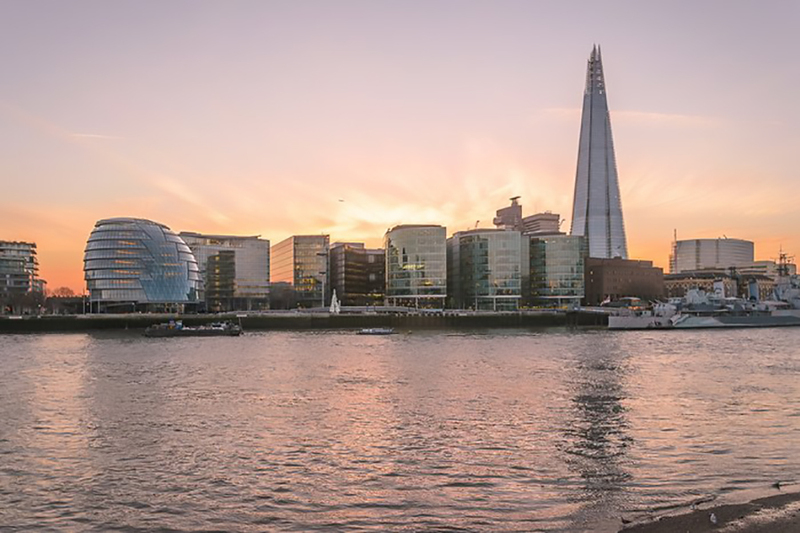 The Shard is the tallest building in the United Kingdom, (and arguably the most impressive) and can be found on the River Thames right next to London Bridge. Yes, that is the famous bridge at the centre of a crazy rumour, we’re looking at you, Robert P. McCulloch, who as legend tells us, mistook it for the Tower Bridge which stands opposite, and purchased the structurally unsafe London Bridge (ever heard the song London Bridge is falling down?) instead, and shipped it over to Arizona. So what should you look to do in the “big smoke” once you’ve seen all the main attractions? Get a feel for the fast action, thriving trade of a typical London Market. 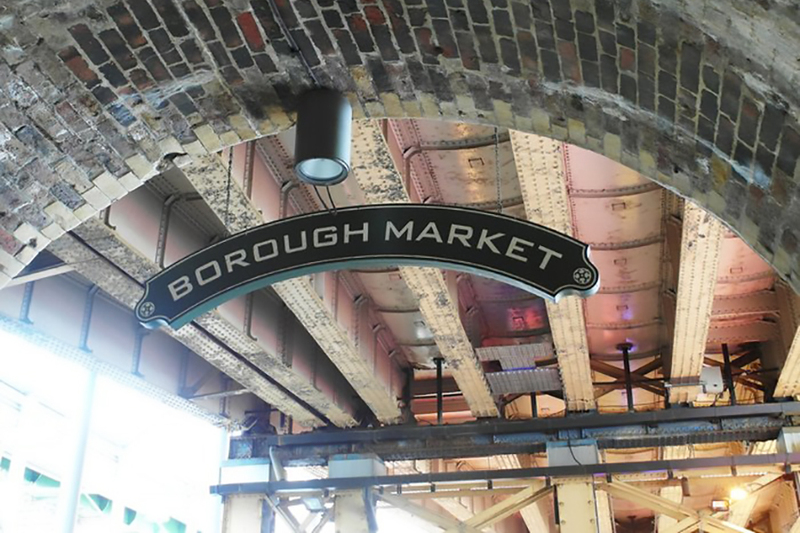 Borough Market is a great example, and is found just over the road from the Shard. Open as a full market on Wednesday, Thursday, Friday and Saturday (10am – 5pm), closed on Sundays, but open as a limited market on Monday and Tuesday (10am – 5pm), you’ll be met by vendors selling all varieties of food & drink, hair & beauty products, oils & vinegars and plants & flowers among others. 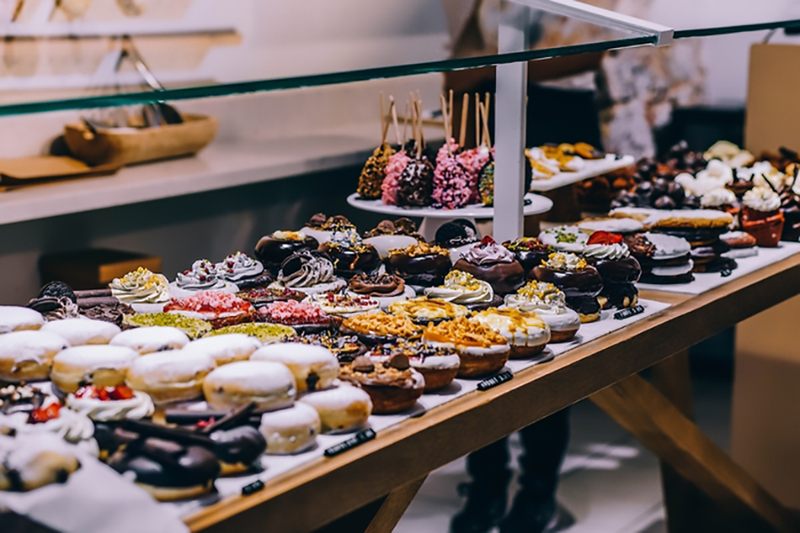 If you have a sweet tooth, try one of the donuts from the famous Bread Ahead bakery, or if you like your spices, Spice Mountain will have something for you. After tasting all the culinary delights, you’ll need something to wash them down with. The Dog and Duck is a common pub name in England, and one of the most traditional you can find is in Soho. Famous novelist George Orwell used to frequent the pub, and even Madonna once visited to wet her whistle after a show. The Victorian interior throws you back to 1897 (the year the present building was built), full of dark wood and large mirrors to help bounce light around the bar area – oh, and it’s also a Grade II listed building, which means it’s particularly important, and of more than special interest. A real mix of historical buildings and new, modern erections that give it the diverse landscape it has today. In fact, of the top 50 tallest completed buildings in Thailand, 46 are found in the province of Bangkok, with the tallest being the Magnolias Waterfront Residences. But there’s more to life than the tall buildings and the ever-popular Khao San Road in Bangkok. If you’ve just spent time exploring the streets at the feet of all those impressive buildings, why don’t you find somewhere to see them from a different perspective? 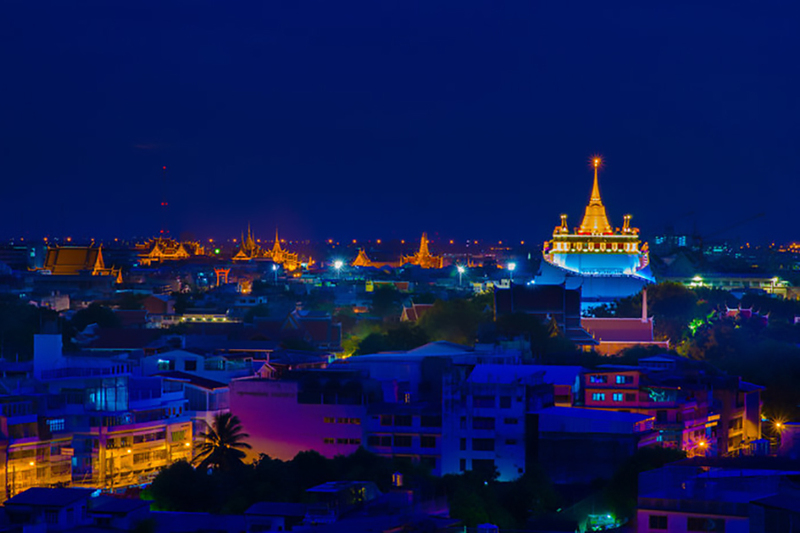 The Golden Mount (Wat Saket) is the perfect vantage point to really appreciate the Bangkok skyline. Perched on the top of the man-made hill is the glorious golden Buddhist temple, and it’s well worth the 300 or so steps to the top. The best news is that it’s not overly crowded, it’s only 50 Thai Baht (roughly 1.58 US$) to enter, and there is somewhere to stop to refresh on the climb! If you enjoy the peace and adventure that a run can bring you, then we’d advise you to head for Lumphini Park – especially in the mornings. The paths make up around 2.5km, so a couple of laps will give you a good, energising 5k. It’s the perfect place to escape the rush of the city, whilst still being right within the heart of the activity. When it’s time to head home, you’ve got the option of two international airports, which are both in close proximity to the city. Don Mueang Intl is Asia’s oldest airport, having opened over 100 years ago. Priority Pass has 6 lounges split between both terminals in the airport, so you should be able to find someone to rest before your flight. If you’re flying from the newer and larger Suvarnabhumi Intl, we have a huge 13 lounges across the concourses to choose from. 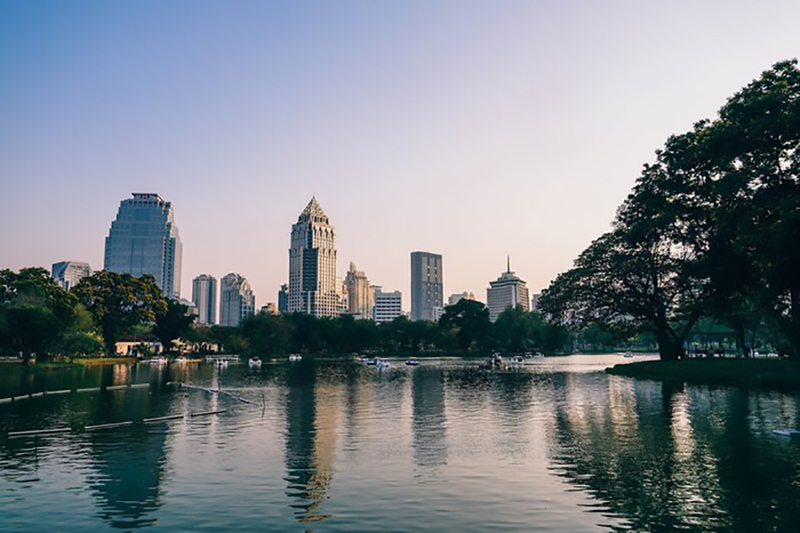 Our helpful BKK airport guide will help you to plan your visit, as the airport is just one large terminal, you might find it a bit overwhelming. Also known as the City of Love due to the amount of people who travel here to spend some romantic time with their significant other, but what makes Paris so romantically appealing? It may be the grand décor of the hotels and public buildings, the well decorated window displays in the boutique shops, or the delicately baked pastries and cakes which the pâtissier puts a whole lot of love in to. And that’s not even taking in to account any of the incredible landmarks that put Paris on the map. The Eiffel Tower, Notre Dame, Arc de Triomphe, The Louvre, Moulin Rouge…the list goes on, and on! But with all these famous attractions, where does Paris find the room to keep some lesser-known secrets? You may not want to visit with a plan and simply follow your nose to find the best restaurants and boulangerie’s as you weave down the streets. But if you do want know some options, read below. There’s a story about a man who discovered he could walk through walls, but lost his ability after taking some prescribed medication while he was halfway through a wall, which is where he is now stuck for all of eternity. You can see the statue at the intersection of Rue Norvins and Rue Giradon nearby to Montmatre. Doing some driving while you’re in France? 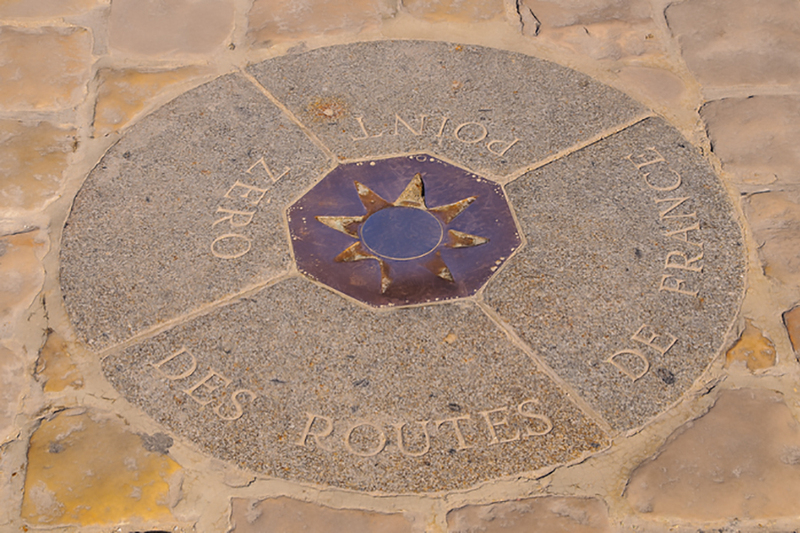 All signposts which dictate how many kilometres away from Paris you are, are measured from the “Point Zero des Routes de France” which is a bronze plaque in the floor outside the Notre Dame, and is considered the official centre of Paris! There is a strange set of rituals that superstitious people perform, from spinning themselves on the spot whilst standing on one foot, to dropping coins on the marker like you would a wishing well. Like Bangkok above, Paris also has two international airports serving it. Paris Orly (ORY) is marginally closer to the centre than the larger Charles de Gaulle (CDG). The latter is actually France’s largest international airport, with terminal 2-M being awarded 8th place in the Skytrax award for “World’s Best Airport Terminal” in 2018! What makes 2-M so great? Well, it’s a satellite terminal which contains digital and video gaming areas, a cinema, a children’s area, and a whole host of designer shops to browse. Find out more about Paris Charles de Gaulle Airport on our airport guide here. Malaysia is a country which has seen rapid development over the past few years, and has reaped the benefits of this via tourism. The Petronas Towers in KL are the headquarters for the native oil and gas giants, Petronas. The towers are a familiar sight in the skyline of Kuala Lumpur, alongside the unmissable Kuala Lumpur Tower. If you want to see Kuala Lumpur Tower from a different perspective, and like to keep yourself fit and healthy, make sure you plan your visit around the annual Towerthon Challenge! Run from the car park, up the hill in to the tower, and then up the small matter of 2,058 steps to the top…there is a cash prize for the fastest few! 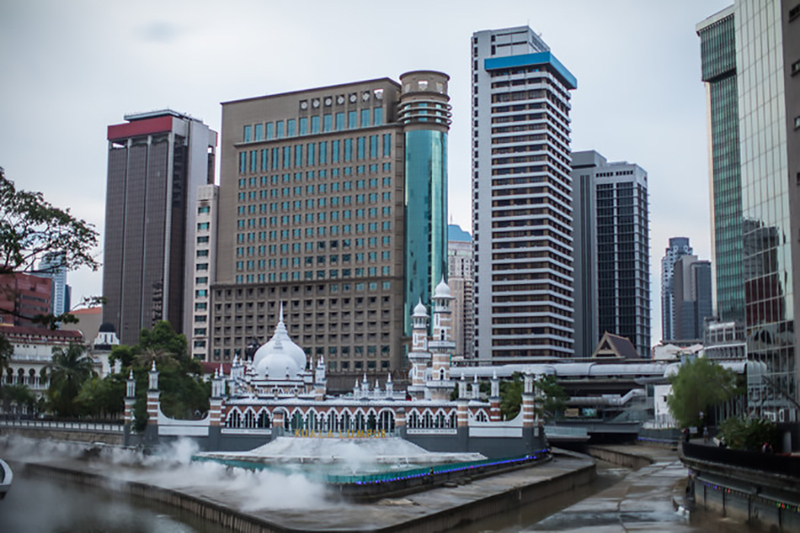 Kuala Lumpur is home to the Klang River, and over the years of heavy development, the threat of flooding became more extreme, and many people also used it as a dumping ground. However, in 2012 a project was created to reconnect the importance of the river to the city, and that project was the River of Life. There’s no doubting that the project has breathed a new life into the city, and not only has the area been redeveloped, but at night, the river lights up to create a fantastic scene. Whilst in Malaysia, you need to try some new food. 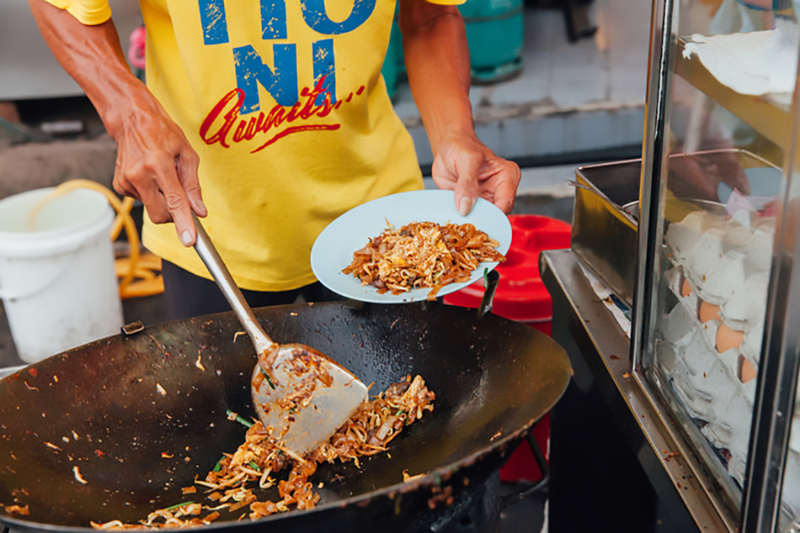 The aromas as you walk through the city are almost certainly going to be the selling point, not to mention the sheer sight of the colors being served up. If you like a rice dish, look out for Nasi Kandar. It’s based on Indian food with sautéed vegetables and meat served in a spicy gravy – delicious! Hoikken Mee is also a good option, the egg noodles are soaked in soy sauce, braised and then fried with meat, Chinese cabbage and spring onion. The airport in Kuala Lumpur really is a sight to be seen, so it’s a good job you’ll be visiting! Its main attraction is a 4-storey shopping mall based around two terminals, KLIA and KLIA2. The viewing gallery if you’re flying from KLIA is a must – head to the very end of the main terminal building for some amazing views of the tarmac. And if you’re flying from KLIA2, make the most of the free movie lounge available to you after you’ve passed through security. There are many more amenities and food and drink options at Kuala Lumpur airport, find out about all of them here. 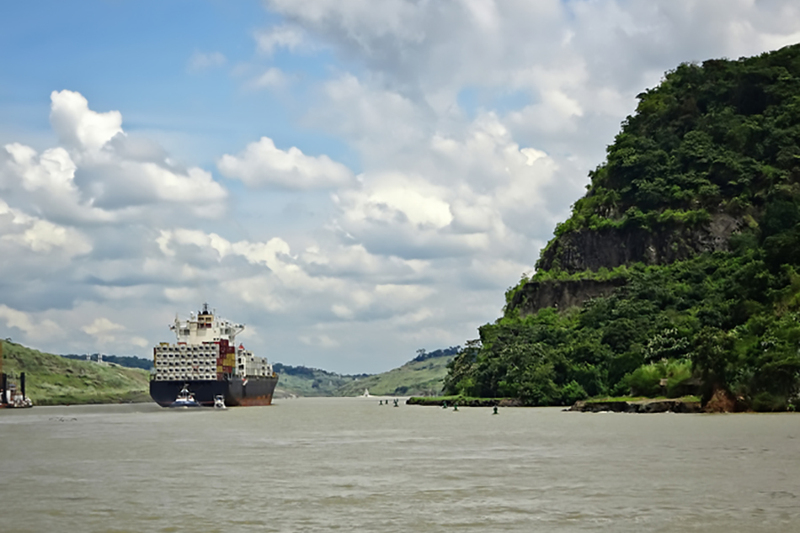 When someone says Panama City, the first thing that comes to your mind would probably be the Panama canal, right? But there’s so much more to the city than the artificial waterway. The Old Quarter is a mismatch of different styles of building, from French to Spanish Colonial buildings which were built during the construction of the Panama Canal. Settled in the middle of the Pacific Ocean and lush green rainforests, there are many species of plants and animals which call Panama City home. Sports are very popular in Panama City, with 3 stadiums which host boxing, baseball, basketball and soccer. If you’re in the city while there is a game, it’s worth getting tickets to experience the atmosphere. Panama Metro is the city’s baseball team and they play at the Rod Carew Stadium. The stadium is on the outskirts of the city, so if you don’t have your own car, be sure to hire a taxi to take you to, and from the game. It’s important to book your ride home after the game as it can be difficult to get public transport out of the city centre. If you’re looking for a waterside bar or restaurant to sample some authentic Spanish tapas with a view, head down to the Casco Viejo (San Felipe) historic district, and find the Casa del Soldado (The Soldier’s House). 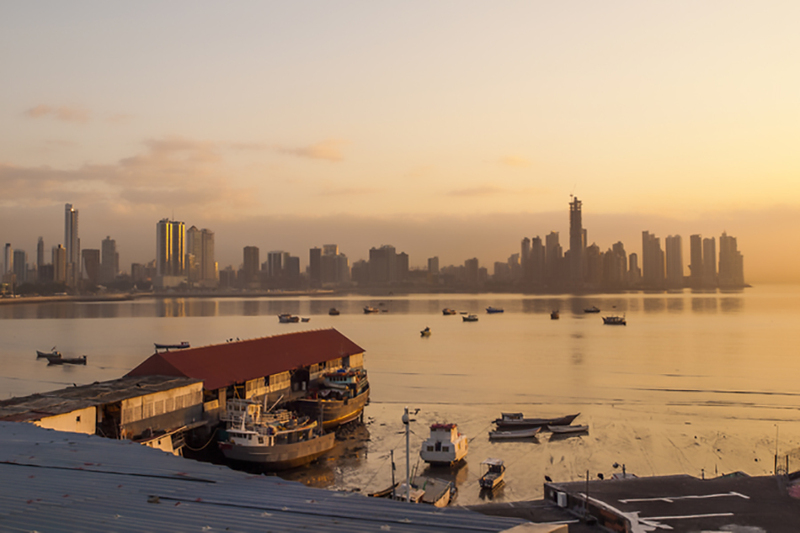 It’s also home to the Spain Cultural Centre, but the secret of the building is the rooftop terrace where you can enjoy a chilled afternoon looking out over the Panama Bay. On the avenue outside the building you’ll see locals running stalls selling handmade and other goods – the perfect opportunity to pick up a little souvenir – but be careful not to purchase anything counterfeit or pirated, it’s against Panamanian law. Panama Airport is a busy hub for flights across South America, and to accommodate the vast amount of passengers passing through, a second terminal is under construction and due to open in 2019. Testament to the airport and airline staff, it was voted 6th best in the world for on-time flight performance in 2018, an excellent job by the small, but busy airport. Our airport guide will help you to plan ahead of your trip, and don’t forget to visit our newest airport lounge, The Lounge Panama by Global Lounge Network.